A User Group – What is it? When I first read about a User Group I had no idea what it meant. To be completely honest my over active imagination flashed up an image of heroine addicts talking about their problems. Thus I was a little confused as to why the mighty Migraine Trust had created one. This shows, I think, how naive I was then in the ways of the charity world. It turns out that most major charities have User Groups and they’re not for ‘users’ in the sense I had imagined…. The Migraine Trust User Group was the brainchild of Tony Bloomfield, the former Head of Fundraising and Communication. It has many duties but put simply it is a group of migraineurs, or those who care for someone with migraine. 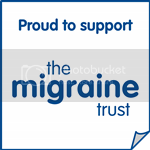 The Migraine Trust is the UK’s largest Migraine Charity and this User Group will represent the very people it aims to help. The duties of those on the User Group range from providing advice to The Migraine Trust regarding the needs of migraine sufferers and their families in the UK; Reviewing current service provision for migraine sufferers by the NHS, private clinics and The Migraine Trust; being consulted on publications, policy positions and the charity’s proposed activity to providing advice and guidance on relevant issues. Membership is on a rolling, 3-year basis and there are to be 3 meetings a year. At present two Migraine Trust staff members lead the meeting and update the Group on the Trust’s activities. It is hoped a member of the Board of Trustees will be present at most of the meetings, and a member of the User Group will represent the Group at Board of Trustees meetings. Partly because I’m a member. I turned up to the second meeting last March and found a room full of migraineurs of various types, ages and background. People had travelled from all across the UK including Scotland, Northern Ireland and Newcastle. At present there are 17 members. Apart from anything else I can not tell you how fabulous it felt to be in a room where I was not a freak, not the odd one out; where everyone understood that strong perfumes and bright lights were a no go. The real reason I’m telling you is because I want your views on the issues we will be discussing at the next meeting, this Saturday September 15th. The User Group has a very real opportunity to “inform the future direction of travel for the charity” (as eloquently put by a fellow User Group Member). Thus I feel it is important that I represent YOU, migrainuers. So – here are the items on the agenda. I want to know what you think. What and how do you think The Migraine Trust could and should be doing to help YOU in relation to these issues? GP’s and Migraine. What are your views and experiences of GP’s services as migraine patients? Employment and Support Allowance (ESA) and the Work Capability Assessment (WCA). Have you been through the WCA as a migraineur? How did you find the experience? 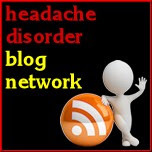 The Migraine Trust in Parliament and their involvement in the All-Party Parliamentary Group on Primary Headache Disorders. More will be discussed in the meeting about the involvement in the group, what it is and how The Migraine Trust represent migraine sufferers. ARE THERE ANY OTHER PRESSING TOPICS FOR THIS MEETING that you, dear readers, would like me to raise? A lot of this meeting will be spent with us being brought up to date with the Trust's recent activities, and learning more about key offerings such as the Information and Enquiry Service. 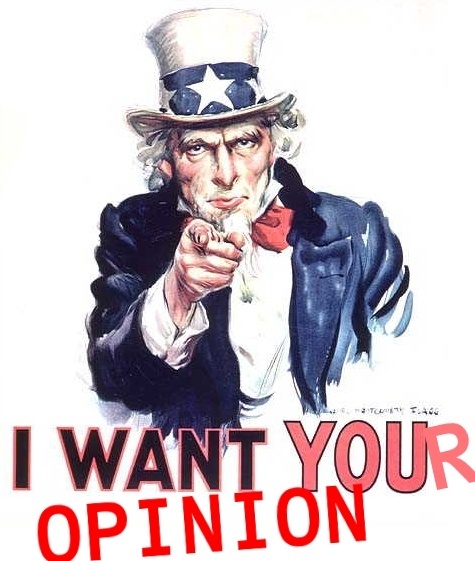 However, we can raise any topics so do let me know your opinions on the 3 topics above, and if there are any other issues you’d like us to talk about. If you don’t feel comfortable leaving comments publicly, or want to know more about the Migraine Trust User Group, please contact Hannah Verghese (Advocacy and Policy Manager) hverghese@migrainetrust.org. Re; your attendance at the meeting on Saturday. My main concern lies with the GP. I am registered with a Group Practice where several years ago I was given a great deal of support with my chronic and frequent migraine attacks by one GP in particular. She was amazing. She even administered acupuncture (via NHS). She cared and was always interested in seeking the latest drug/alternative therapy for me etc etc... Eventually I took early retirement due to this damned disease. I am still with the same Group Practice but my enthusiastic GP moved and left the practice which meant I had to start over. To date I've not found another doctor who is interested in my migraine attacks. OK I am prescribed Triptan Drgus but they tend to think there is nothing else which can help. I believe all GP's should be updated with the latest developments regarding Migraine and that at least one doctor in each practice should know how to treat it and take time to understand how each migraineur might suffer a different type of attack. I fought a lonely battle until I joined The Migraine Trust - but thanks to them I realised I was not alone. There are many 'of us' out there. We need support.